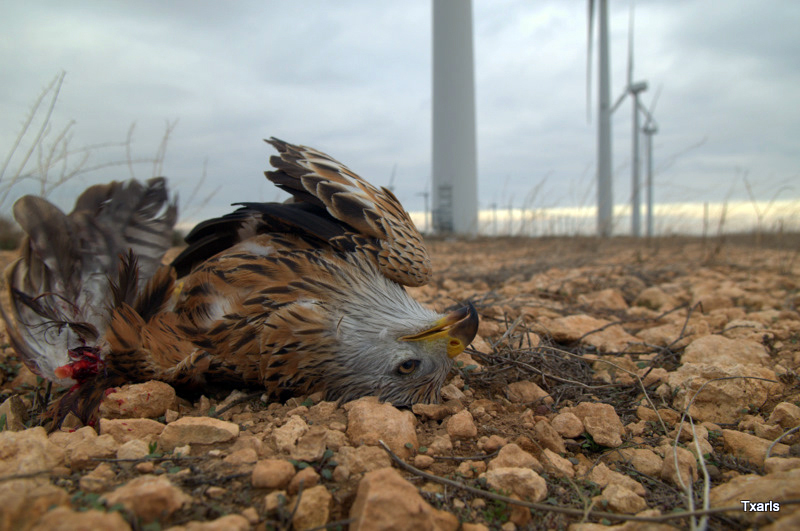 Despite what the Industry says there have been numerous reports of deaths of Birds of Prey and many other species from wind turbines. From The Altramont Pass in the USA to Navarre in Spain to Smola in Norway, attrition on the bird species has been well documented. The RSPB, Government and Developers simply accept a certain level of destruction and compare it to birds killed by cars and by household cats. Never yet seen my cat come through the catflap with a red kite or a golden eagle! These species are protected by a European Directive that if anyone else flouted the full force of law would descend. A group in Spain, run by Marc Duchamp has been covering this for many years. One link here will surprise you Iberica2000.org . 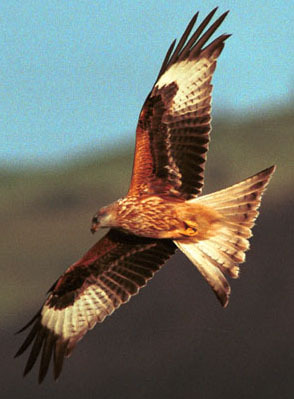 The only recorded death in the Highlands was at Fairburn and was possibly only notified because the Kite was radio tagged. 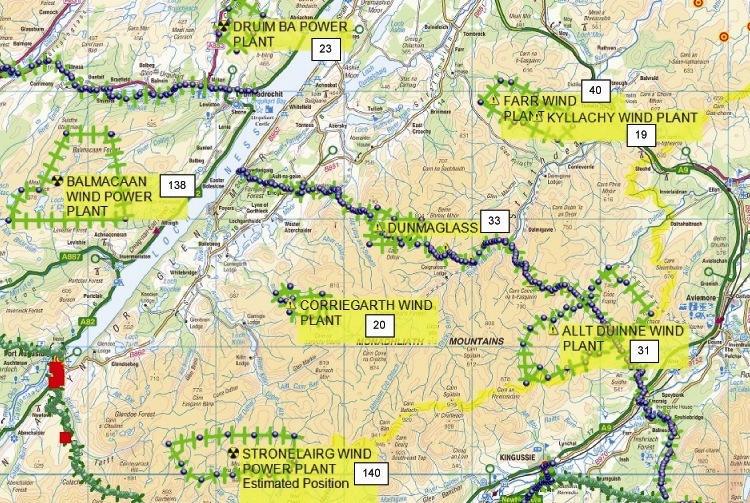 Radio tagging of Golden Eagles has proved that they frequent the proposed Dumnaglass Wind Farm site on a regular basis, as well as the proposed site at Glenfiddich, despite in both cases the paid consultants stating that no Eagles were ever seen there. Ergo:they lie! This is fairly typical of a consultants report to any Environmental Statement. The radio tracks of this Eagle Cullen and the other Eagles that have been tagged as part of this scheme do suggest that these birds cover far greater areas than those such as the Glen Affric/Strathconon SNH Protected Area. It might well suggest that for raptors the whole of the Highland from Perth to Sutherland be declared an Avian National Park. 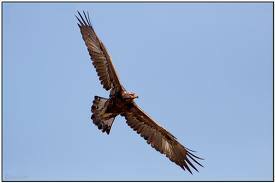 It is a fact of life that the same conditions that attract wind farms, A rising hillside into the prevailing wind also attract raptors who use these conditions to soar in the same way a glider pilot would. It has also been suggested that the attrition of small birds and bats attract the same mamals that the raptors see as a source of food. 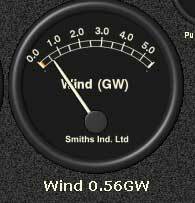 In other words the wind farm is laying out a dinner table for these birds of prey, whilst their inherent defence mechanisms do not warn them of the danger of turbine blades travelling at 120-15omph. (see Graham Martin’s Raptor Collision Report in Turbine Truths) Going back to the beginning, cars and trucks may kill many birds but how many cars and trucks do we find on our roads doing 120-150mph. Now that would attract the interest of the Police never mind RSPB! So now we know their attitude and we can assume it has changed little. To those that live and work in our big cities and fly off twice a year for their overseas holidays, whose interest is that their i-pod and Blackberry can be charged, their plasma TV is available to show the latest gameshow, and they can twitter to their hearts delight, it may not be of any great interest that the Sea Eagle, Golden Eagle and Red Kite still fly over our mountains and glens. Perhaps they pay their subs to the RSPB and are greatly concerned in the plight of corn crakes but they are simply ill educated on the Wild Places of the Highlands. Today’s Youth Culture creates great concern but little understanding of Climate Change and little understanding of nature. We have created an urban culture that simply is unable to understand the Rural State. 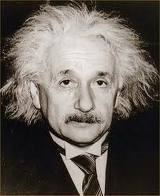 Watching Countryfile, Springwatch and Coast only titillates the interest. These urban dwellers need to join those that have discovered the countryside and, as the saying goes, “Get out more”! And can things be done better. See this link to the story of Coignafearn and Sigrid Rausin, Modern Environmentalist and 21st C. Landowner. Perhaps there is hope yet! RSPB Scotland has welcomes decision to refuse consent for Stacain wind farm in Argyll, whcih would have been a threat to Golden Eagles. This is the second time that Ministers have refused consent for the 14-turbine wind farm at Stacain, near Inveraray, following a six-year planning process involving two formal public inquiries. Developer Bagmoor Wind’s proposal would have been located within the Glen Etive and Glen Fyne Special Protection Area (SPA) for Golden Eagles and, if approved, would have posed a significant threat to the birds, due to habitat loss and risk of collision with turbines. There are just over 440 pairs of Golden Eagles left in Scotland, and a 2008 report by SNH found that the conservation status of Scotland’s golden eagle population was unfavourable. 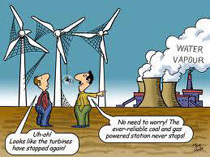 The main constraint nationally was identified as illegal killing, but wind farm development was an additional factor in Argyll and in Caithness. Is there a right place amongst Scotland’s Wild Heritage? I love the poem at the start of this – my sentiments exactly! As More Golden Eagles are killed in the US, the issue is causing great concern. 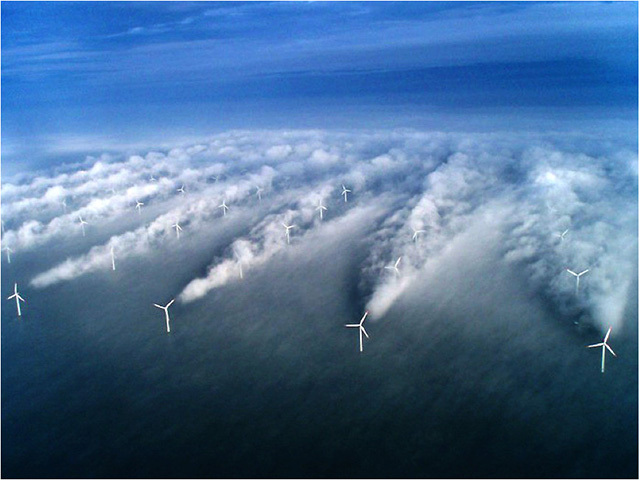 As in the UK, the US has failed to prosecute one wind farm operator! Windmills kill nearly half a million birds a year, according to a Fish and Wildlife estimate. The American Bird Conservancy projected that the number could more than double in 20 years if the administration realizes its goal for wind power. The American Wind Energy Association, which represents the industry, disputes the conservancy’s projection, and also the current Fish and Wildlife count, saying the current bird kill is about 150,000 annually. Over nearly 30 years, none of the nation’s 500 wind farms, where 35,000 wind turbines operate mostly on private land, have been prosecuted for killing birds, although long-standing laws protect eagles and a host of migrating birds. If the ongoing investigation by the Fish and Wildlife Service’s law enforcement division results in a prosecution at Pine Tree, it will be a first. The conservancy wants stronger regulations and penalties for the wind industry, but the government has so far responded only with voluntary guidelines. I once asked Marc Duchamp why developers/landowners are not prosecuted when they kill protected species. Apparently the answer is that these deaths are “accidents”. If a gamekeeper puts out poison a bird of prey takes it, that could be classed as an “accident” but it’s not. They know turbines kill birds and bats so how are these deaths accidents? 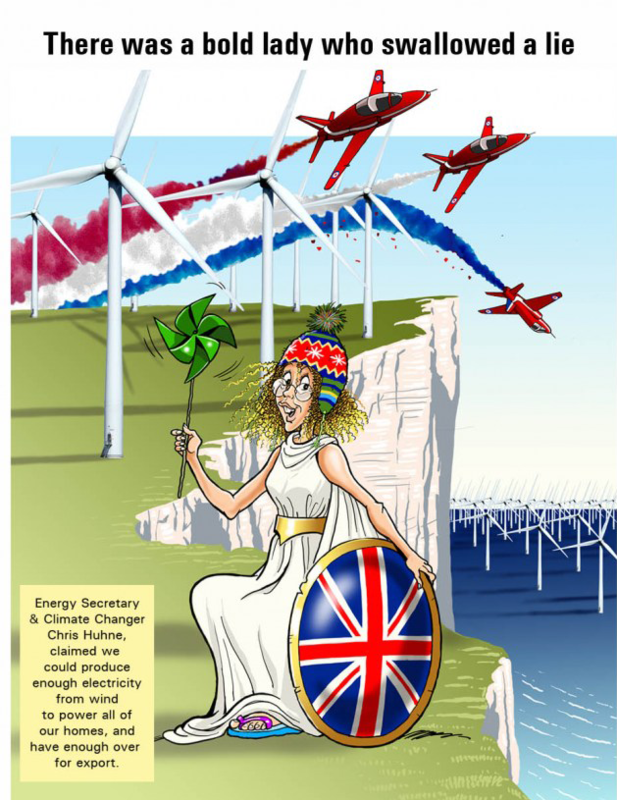 This link is a very accurate assessment of danger to birds from wind farms.